A study at Indiana University has just shown that the chow you’re feeding your pet Rover could be laced with chemical heavy flame retardants. They found the average domestic pup had a surprising level of 2 nanograms of the chemicals in its bloodstream, but this is likely due to absorption from their environment – your home. Researchers are now looking into using dogs as biosentinels to monitor harmful chemicals that may be loose in our homes. 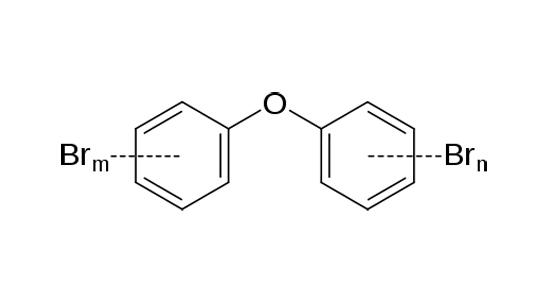 The flame retardant chemicals in question are called polybrominated diphenyl ethers, or PBDEs. The chemicals are sprayed on many common things in our homes like furniture or stereos, to guard them from fire. But the PBDE’s don’t just stay in the products intended, they migrate into the environment, where they have an extraordinarily long shelf life. For example, a PBDE that has not been used since 2004 can still be found in our environment. The PBDE levels in dogs have been found to be five to ten times higher than in their human owners. This isn’t necessarily alarming. Dogs have a tougher metabolism that is able to break down household chemicals far more easily than humans can. PBDEs are even commonly found in dog food, which researchers believe is a product of processing, not the food sources. The researchers are hoping that testing your pet’s blood levels for chemicals could serve as a means to measure chemicals present in the home. However, the presence of PBDEs in dog food could prevent an accurate assessment. Could your guard dog now warn you against not only intruders, but toxic chemicals? Time will tell. A study at Indiana University has just shown that the chow you’re feeding your pet Rover could be laced with chemical heavy flame retardants. They found the average domestic pup had a surprising level of 2 nanograms of the chemicals in its bloodstream, but this is likely due to absorption from their environment - your home. Researchers are now looking into using dogs as biosentinels to monitor harmful chemicals that may be loose in our homes.